Each month the Bemidji State University Office of Athletic Media Relations produces an e-newsletter, the Beaver Nation Newsletter, to keep fans and followers up to date on all things related to BSU Athletics. In addition to posting the publication here on BSUBeavers.com, you can subscribe to have the newsletter delivered directly to your favorite mobile device via text message. For more information, sign up for TXTUpdates from BSUBeavers.com. Greetings, Beaver Nation! I'd like to introduce, or maybe, reintroduce myself. 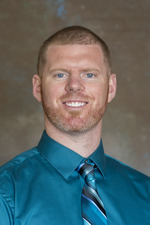 I'm Adrian Dunn and after a few years dabbling in collegiate coaching, I returned home to Bemidji State, where I played and coached football, and accepted the Director of Annual Giving, Athletics position at the BSU Foundation. In this role, I will be dedicating a large portion of my time to working with the Beaver Pride organization and its members. I've been on the job for just over a month now and have already had the opportunity to meet many of the good people of Beaver Nation and look forward to getting to know more of you. If you have any questions about Beaver Pride, membership or how you can play a role in Beaver Athletics, please call me at (218) 755-2827 or send me an email. Go Green! Bemidji State alumni, friends and fans of Beaver Hockey will gather at the Bemidji Town and Country Club Friday, July 17 to participate in the 17th Annual Galen Nagle Memorial Golf Tournament sponsored by Sanford Health. The cost to participate in the Texas scramble is $110 per person. Register yourself or your five-person team online now. All proceeds directly benefit the BSU men's ice hockey program. Director of Athletics Tracy Dill has announced Chelsea DeVille as the new Head Coach of the Bemidji State women’s basketball program. A proven recruiter, familiar with the Northern Sun Intercollegiate Conference, DeVille comes to BSU after serving on the University of Sioux Falls women’s basketball coaching staff since 2009. Former Bemidji State defenseman Matt Prapavessis was among nearly 60 of the Buffalo Sabres' top prospects, its 2015 draft picks and the 2015 Hobey Baker Award winner June 6-10, participating in the NHL organization's development camp in Buffalo, N.Y.
Eighteen regular-season home games, 11 games versus 2015 NCAA Tournament participants and the defense of its North Star College Cup title highlight BSU's 36-game 2015-16 men’s ice hockey schedule. 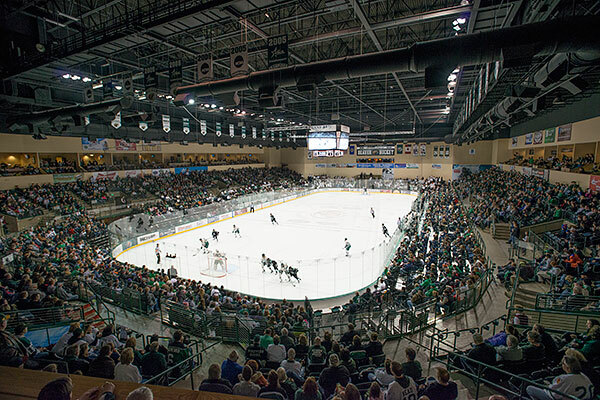 Women’s hockey looks to build upon its record-setting 2014-15 campaign with a 34-game 2015-16 schedule, 18 of which will be played in the Sanford Center. The BSU women kick off their regular season Sept. 25-25 against Robert Morris University at the Sanford Center. Kevin Kean, who recently completed his third season as an assistant track and field coach at NCAA Division II Tiffin University, has been named Bemidji State's new Cross Country and Track and Field Head Coach. 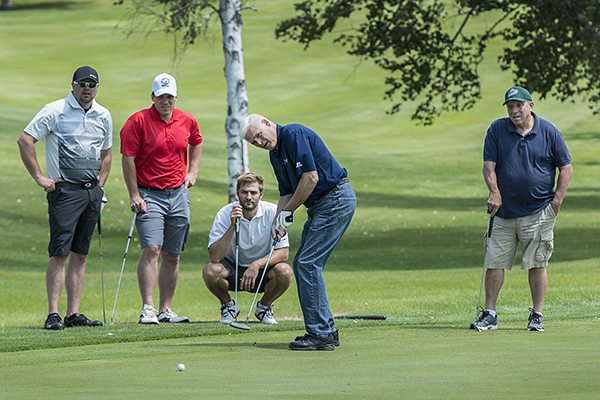 Former Bemidji State football player Brian Leonhardt, now a tight end of the NFL's Oakland Raiders, was among the 240 participants in the 38th Annual Gordy Skaar Memorial Golf Tournament at Bemidji Town and Country Club, June 19. The event, which benefits BSU's athletic scholarship fund, raised in excess of $50,000. 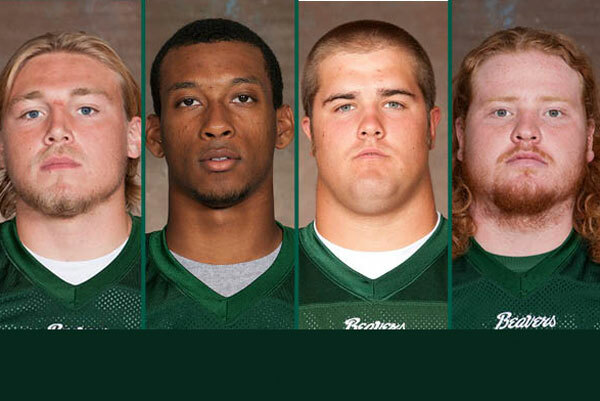 Colton Blascyk, Blake Holder, Jesse Hein and Matthew Valentine of the Bemidji State football team have been named to the 26th Annual USA D-II College Football Preseason All-American Team. Blascyk, a senior linebacker, and Holder, a sophomore wideout, earned spots on the first team, while Hein and Valentine, who are both junior offensive linemen, got second-team nods. Patti (Fitzgerald) Zwiers, a five-time shot put All-American and a 1988 NAIA national champion has been selected to the NSIC Hall of Fame and will be officially inducted July 15 in Burnsville, Minn. as a part of the league's annual summer meetings. 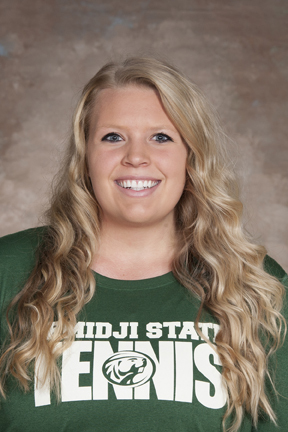 The NSIC has announced Bemidji State senior tennis player Shaylin Prout as one of 16 recipients of the second annual Butch Raymond Scholarship. The $5,000 scholarship is sponsored by Sanford Health and is given to one student-athlete from each of the NSIC’s 16 member institutions who has aspirations of working in the healthcare field. 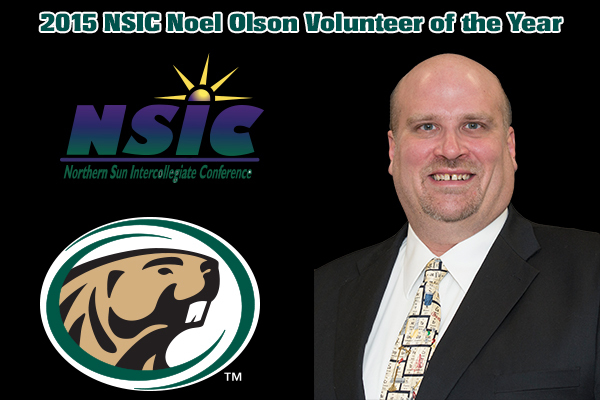 Bemidji State landed 33 student-athletes on the 2015 Spring Academic All-NSIC Team. Led by its baseball team, which had 12 student-athletes recognized for academic accomplishment, BSU also had seven members of its women’s outdoor track and field team honored. To be eligible for the honor, student-athletes must maintain a grade point average of 3.20 or better, be a member of a varsity traveling team and have reached sophomore athletic and academic standing at his or her institution with one full year completed at that campus. For BSU Athletics text message updates and score alerts sign up for TXTUpdates from BSUBeavers.com. © 2014 Bemidji State University Athletic Media Relations and Beaver Pride. All rights reserved. A member of the Minnesota State Colleges and Universities system, Bemidji State University is an affirmative action, equal opportunity employer and educator.